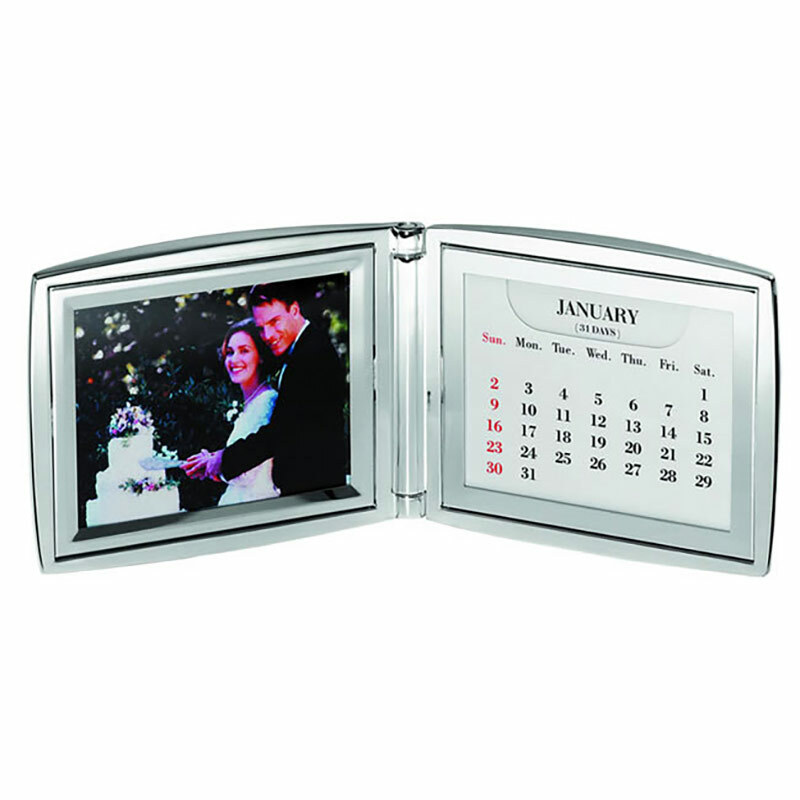 A stylish silver plated desktop photo frame and calendar combination, in a heavy folding case. These executive desk accessories are perfect for the travelling business person - they can be easily folded and kept as a bedside reminder of loved ones or good times. They are equally suited for permanent display on your daily desk or workstation. 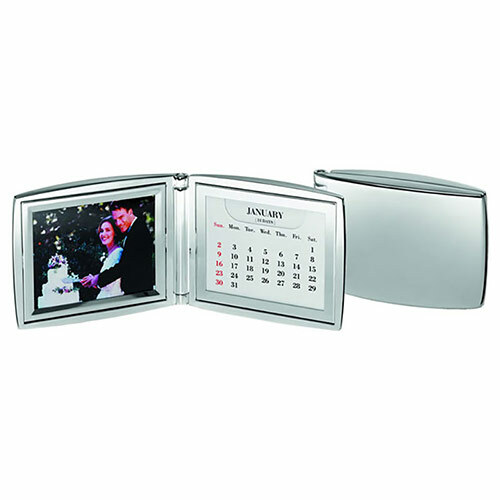 The frame holds an image sized 2.75in x 2in (70mm x 52mm) while the perpetual calendar can be adjusted for any month and year. The silver plated case of these photo frame/calendar products is perfect for engraving with a brand or corporate logo, company name, marketing message or personal details. We offer FREE ENGRAVING of text and logos on all orders.